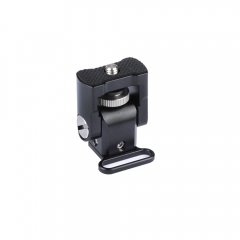 • Used to attach monitor to camera via a 1/4" screw on one end, hand tight. 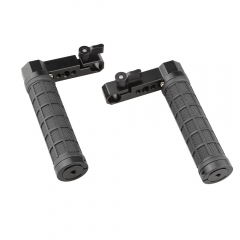 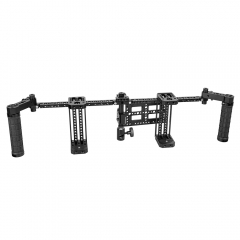 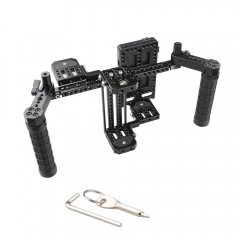 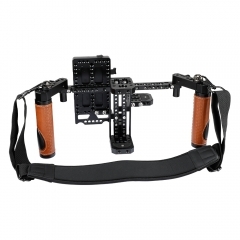 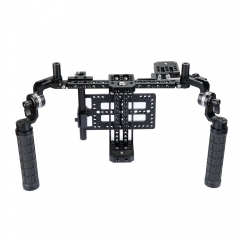 • Comes with a cold shoe mount on the other end to attach cameras or cages. • Quick and easy to adjust the monitor viewing angle forward and backward. 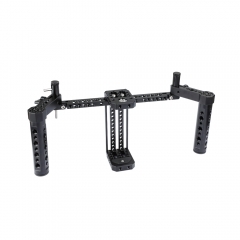 • Well made of HQ aluminum alloy, strong enough to hold up to 1.5KG at most. 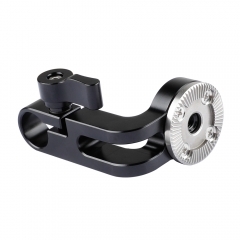 • Universally works well with many different kinds of monitors with 1/4" thread hole.